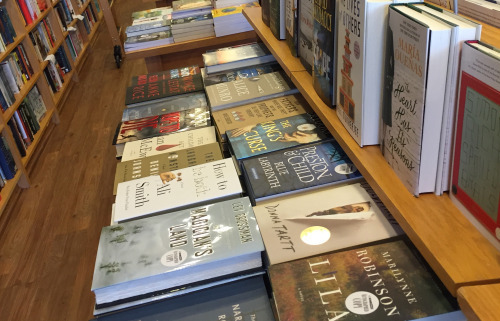 After returning from this year’s Winter Institute, where we met hundreds of dedicated booksellers from across the country, we decided to take a virtual road trip to learn more about their stores. For the next several weeks, our interview series, Seven Questions, will spotlight some of our favorites—including Parnassus Books, Quail Ridge Books, and Hub City Bookshop, among others. You just don’t find better people than the good folks who own and work at them. Parnassus Books, which opened in 2011, is named after the sacred Grecian mountain known for its poetry, song, and knowledge. And the Nashville bookstore is indeed a home for literature and learning, with regular author readings and weekly story-time events for children. Co-owned by bestselling author Ann Patchett and publishing veteran Karen Hayes, the beautiful store offers an intimate and thoughtful selection of books. In Seven Questions, we interview writers, editors, designers, and others in publishing. Today we welcome Cary Holladay to the blog. 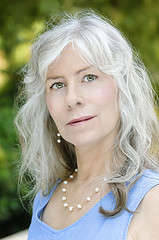 Her story “Horse People” first appeared in Ecotone’s evolution issue and was reprinted in New Stories from the South 2009. It now has a home in Astoria to Zion: Twenty-Six Stories of Risk and Abandon from Ecotone’s First Decade. American Hipster: A Life of Herbert Huncke, The Times Square Hustler Who Inspired the Beat Movement, by Hilary Holladay, my younger sister. Where did the idea for “Horse People,” your story in Astoria to Zion, come from? Barren Ground, a novel by Ellen Glasgow, published in 1925, is a wonderful story of a woman’s triumph over failed love and rejection. Hardworking protagonist Dorinda Oakley becomes a successful dairy farmer. However, she ossifies into a joyless Lady Bountiful. I’d change the ending so she finally falls in love again and has fun. Which fictional character would you choose to go on a road trip with, and where would you go? In Seven Questions, we interview writers, editors, designers, and others in publishing. 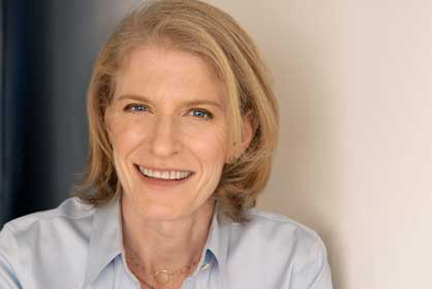 Today we talk to Marisa Silver, whose story “Leap” appears in Ecotone’s fifth anniversary issue and was named a distinguished story in The Best American Short Stories 2011. It now has home in our anthology Astoria to Zion: Twenty-Six Stories of Risk and Abandon from Ecotone’s First Decade as well. Running in the Family by Michael Ondaatje, A Tomb for Boris Davidovich, by Danilo Kis, The Street of Crocodiles by Bruno Schulz, and about twenty other books not yet read, sort of read, almost all read, read. Where did the idea for “Leap,” your story in Astoria to Zion, come from? A friend told me that her dog had jumped off the edge of a cliff. Chasing a rabbit? A botched suicide attempt? I had to find out. 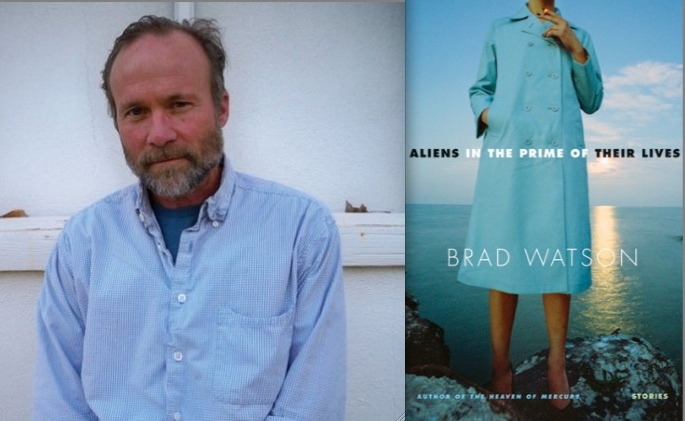 This week longtime Ecotone contributor Brad Watson answers our Seven Questions and charms us with his distinctive humor and insight. His story “Alamo Plaza,” about a family’s vacation in Gulfport, Mississippi, is one of our favorites to appear in the magazine. It won a PEN/O. Henry and now has a permanent home in Astoria to Zion: Twenty-Six Stories of Risk and Abandon from Ecotone’s First Decade. Geoff Schmidt’s story collection, Out of Time (my students are reading it); a biography of William James (suggested by your own David Gessner); my wife Nell Hanley’s cento manuscript; Meg Pokrass’s new flash collection, Bird Envy; Jamie Kornegay’s forthcoming novel, Soil; Chandler’s The Long Goodbye. And some others a bit further off to the side. A couple of student theses. I’d have Huck give Tom what-for when he pulls those shenanigans at the end of The Adventures of Huckleberry Finn, instead of all that roundabout way of torturing Jim to achieve a phony redemption for Tom. A waste of time, and frustrating. Twain was self-publishing then, right? Well, he should have hired and trusted a good editor. Also, maybe a little more hoozah in that bed scene between Ishmael and Queequeg, don’t you think? It’s damn good as it is, but a devil in me wishes he’d pushed it a little further. Maybe just with dialog of some sort. In Seven Questions, we interview writers, editors, designers, and others in publishing. Today Daniel Orozco gives us the inside scoop. His story “Only Connect” first appeared in Ecotone’s evolution-themed issue and is now also in Astoria to Zion: Twenty-Six Stories of Risk and Abandon from Ecotone’s First Decade. Where did the idea for “Only Connect” in Astoria to Zion come from? I went to a wedding in Astoria where I knew none of the other guests. Not a single one. I was mingling with strangers, feeling antsy and awkward. So I eventually slipped away and holed up in my motel room, with a view of the Columbia River, and the mist rising off it and all around the Astoria Bridge. I got glum, and inspired—a darn good combination, as it turns out. I read a story last year by Manuel Gonzales, “The Miniature Wife,” and it was really good—fabulist, darkly comic, completely and delightfully engaging—and it is now the title story of his recently published collection. I’m pretty excited about getting my hands on that. 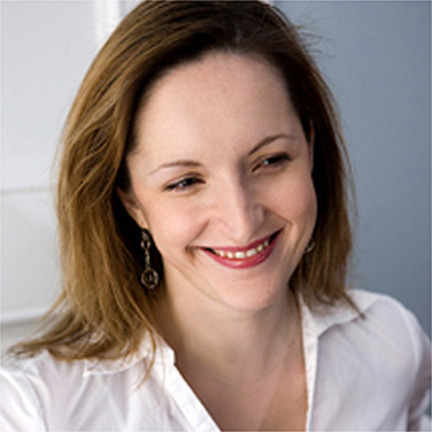 In Seven Questions, the newest series on our blog, we interview writers, editors, designers, and others in publishing. We hope you’ll enjoy our first post with Ecotone contributor Brock Clarke, whose funny and powerful story “Our Pointy Boots” first appeared in our evolution-themed issue. 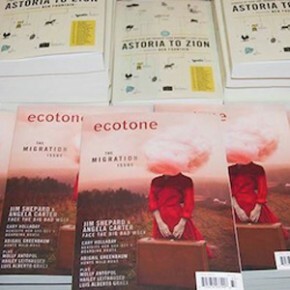 We loved the story so much that we recently gave it a second home in Astoria to Zion: Twenty-Six Stories of Risk and Abandon from Ecotone’s First Decade. We also hope that you’ll share this interview and will continue to follow not only Seven Questions but a few other departments we plan to unveil in the coming weeks. Stay tuned to find out which fictional dog Brad Watson would adopt, as well as why dog-eared book pages make Cary Holladay think of nuns. Tove Jansson’s The Sculptor’s Daughter, Russ Rymer’s Genie, Stefan Zweig’s Beware of Pity, Mary Robison’s Why Did I Ever. Where did the idea for your story in Astoria to Zion come from? It’s been fun to go back and try to think of what made me start that story. I know I was in Watertown, NY, snooping around, thinking about a novel I was planning on writing that would be, and ended up being, set there. And there’s an enormous military base in town, and I saw some soldiers drilling on the base, so there’s that. And I also recalled a sweatpants wearing lunatic with one pant leg up and one down doing laps around the public square, so there’s that too. And I remember feeling how daunting writing a new novel felt—and how I didn’t really feel like I could do it—but if I could maybe write a story set in the same place, then maybe the novel would feel possible, even if the novel ended up being nothing like the story. When I was thinking about this, I was also thinking, for some reason, about a line in a Barry Hannah story, I don’t remember which one, narrated by a guy who was pledging to put on his cowboy boots (I don’t remember if they were pointy or not) and walk up and down Main Street until someone noticed him. And I liked the image of a bunch of guys doing the same thing in Watertown, and I saw them all as a group, walking around in their pointy boots, and so I decided to let them narrate as a group too, for a while.